Sift the dry ingredients together. Beat the egg, buttermilk, oil, milk and vanilla together. Add to the dry ingredients and mix until just combined. Spoon into a muffin pan lined with cupcake cases. Bake in a preheated oven at 180◦ C for 20 minutes or until a skewer inserted comes out clean. Cool. 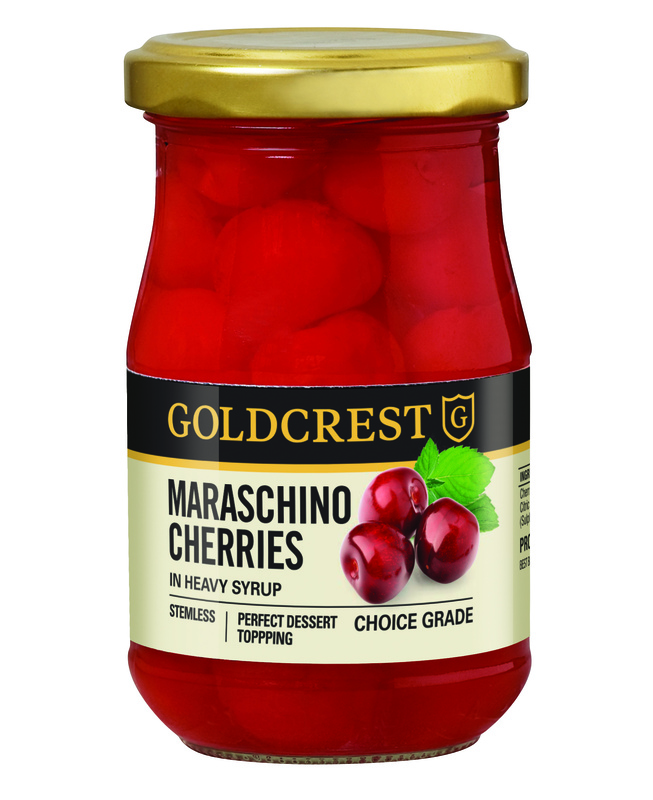 Drain the cherries and reserve 45 ml of the syrup. Set 12 cherries aside. Puree the remaining cherries and 30 ml of the reserved syrup. Beat the cream cheese until smooth. Add the pureed cherries to the cream cheese and beat until smooth. Add a bit more syrup if the mixture is too thick. Spoon into a piping bag and pipe onto the cupcakes. 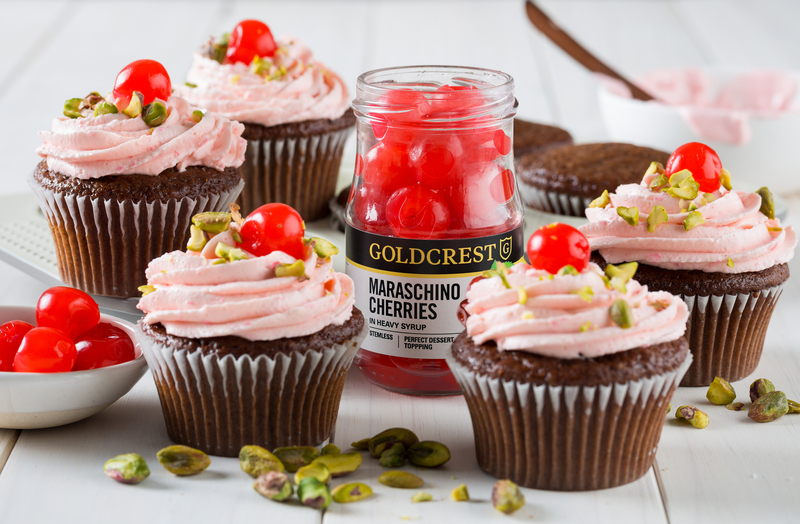 Finish with the reserved cherries and chopped pistachio nuts.